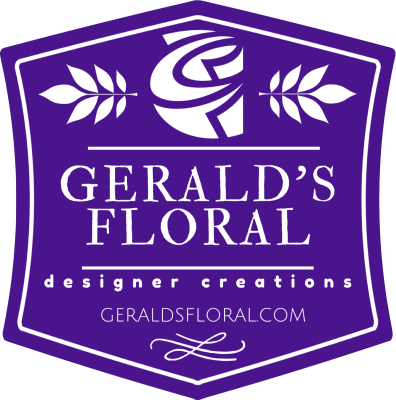 "With nearly twenty years experience creating custom arrangements for memorial services of all varieties, I have come to find it to be the most fulfilling outlet of floral design. I ensure compassion and integrity for all my clients to help through the difficult process of laying a loved one to rest." These arrangements are placed at the front of the auditorium - typically next to the casket or the podium. Optional shapes include: cross, open heart, closed heart, open circle, or oval. The casket spray is an arrangement made in a saddle that sits on top of an open or closed casket. They can either be single or double in length. Another option is to have three smaller sprays spaced out over the top of a closed casket. A common sympathy gift is a garden basket with multiple green or blooming live plants. It is reccomended that the basket contain at least one variety of plant that will grow in the region, should the family member chose to plant it in the ground. 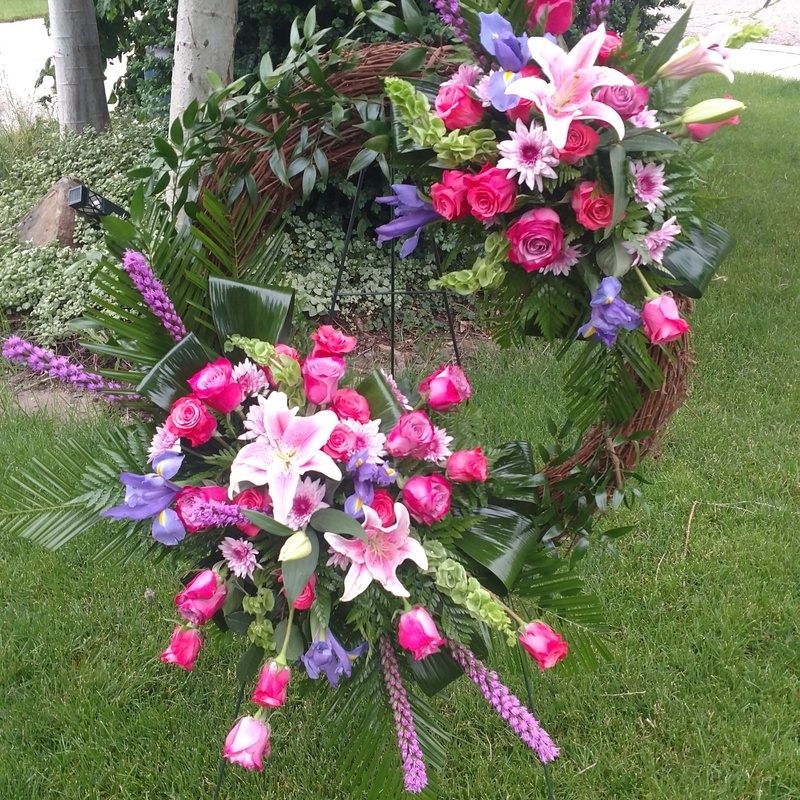 Also hung on an easel in the front of the auditorium, this arrangement is a wreath with floral spray on one or two sections. 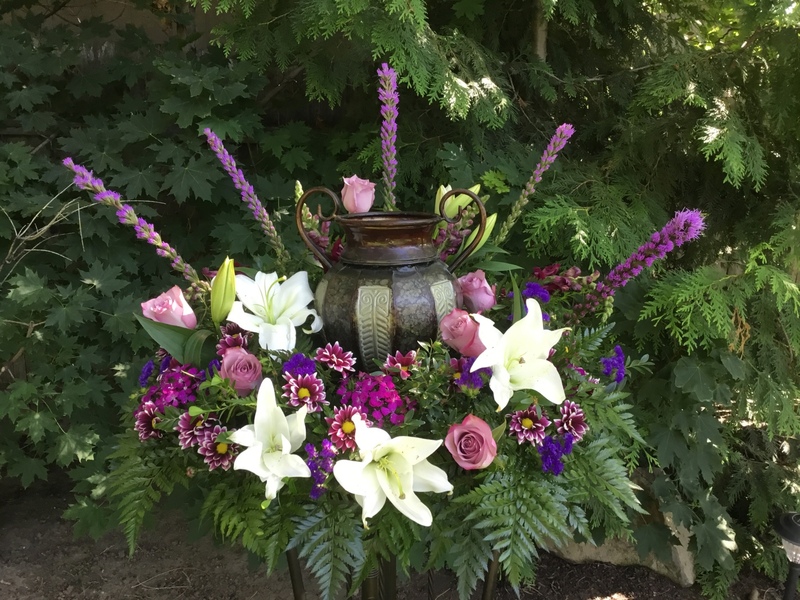 This arrangement either sits behind the urn or has the urn nestled within the structure. There are multiple options as to the size and general design of the urn surround. These arrangements can either be designed in an urn or a vase. Often times, a papier mache pot is used for the sympathy arrangement. You will be contacted regarding your request. This form does not constitute an official order.